The Triple Eight Brainsaver Helmet is not only characterized by its premium quality, but also has the CPSC certificate which makes it an official cycle helmet on public roads. The inner cushion is fixed by fast-and-loop closure which can be exchanged and launderd. Every helmet comes with a second pair of cushions to optimize it for every head circumference. 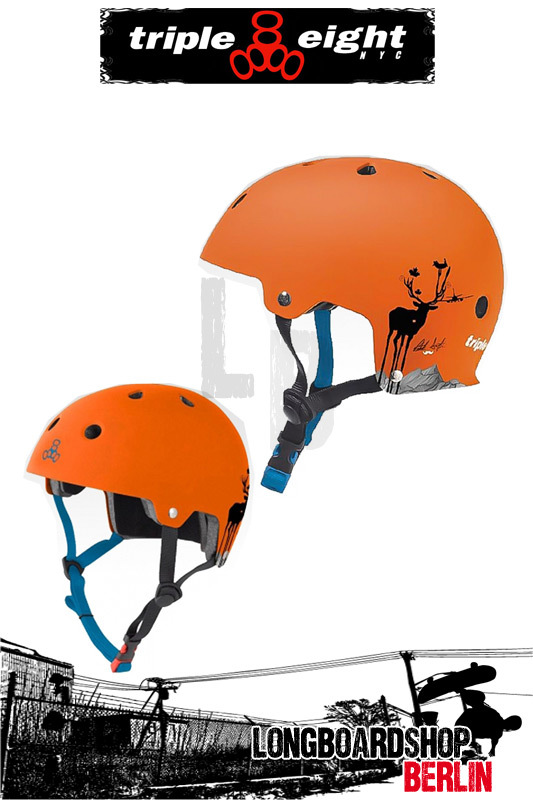 The construction offers optimized all-around protection, convinces of a deep neck gap, an extra light ABS helmet shell featuring temple protection and a very comfortable cushioning.